Hey crafty friends! 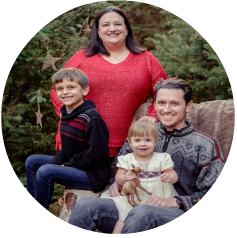 I’ve missed sharing with you during the hectic holiday season, and I’m so glad to be back. 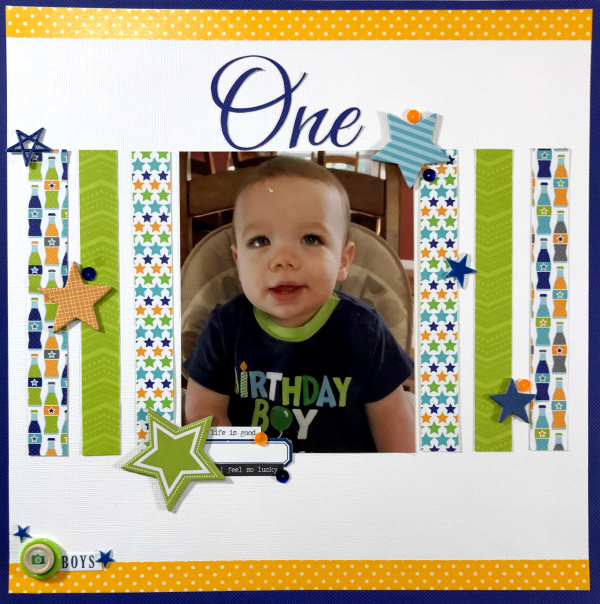 Today I have a fun birthday boy scrapbook layout to share with you featuring my cute nephew, who is turning six next month! This layout design is so versatile, and I think that’s what ended up making it one of my favorites that I’ve done in awhile. 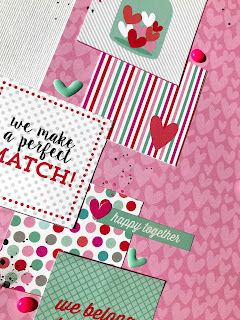 You can do this technique with a 4×6 or 5×7, and it doesn’t take many patterned papers either since you just alternate the A and B sides of two sheets. The other thing that makes this so easy is the star embellishments. I used some chipboard stars and some puffy, but you can cut stars from patterned paper and use foam to pop them up if you don’t want to purchase extra supplies. You could also cut stars from solid paper and doodle on them if your stash is just getting started. 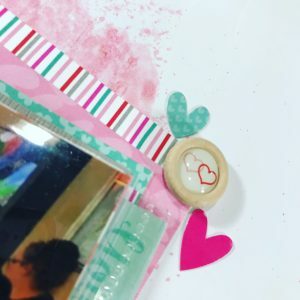 Since I had them in my stash I added a label, which was just a free printable so no cost there, and some sequins to add a different dimension to the page. The buttons also have been in my stash forever, but could be substituted for paper circles if you don’t have buttons. The title was cut from my Silhouette Cameo. While the script may be hard to hand-cut block letters would be very easy. You also could use letter stickers if you have them. I hope this gives you several ideas on how to use your stash differently, even if you have a huge one, or how to create a lovely page if you’re stash is just getting started. Also, tell me what your favorite way to use your stash differently is. 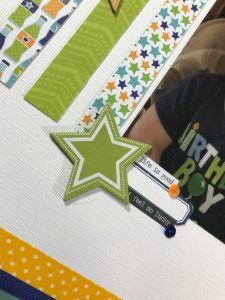 If you’re interested in seeing another boy birthday layout using some supplies from this collection – check this layout out. Hey crafty friends! Let me start today off with a question…how do you write your blog posts. I’m sitting here today accompanied by Sam and Dean Winchester of Supernatural. I could watch that series over and over and over…oh wait..I do! Now the layout I’m blogging about today was created for the September 1st challenge as CSI Case Files. 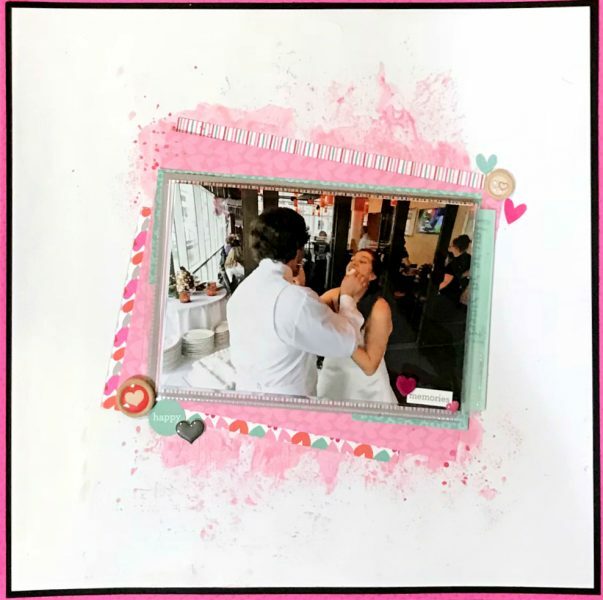 I used products from the July 2015 My Creative Scrapbook kit. My background paper, which has all the required colors from the case file, is from the Doodlebug Sunkissed collection. This paper also fulfills the driving me dotting challenge at Southern Girls. 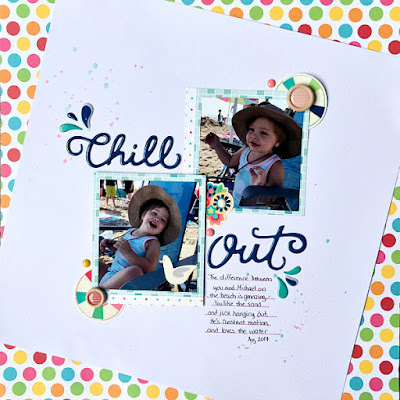 I think my favorite part of the page though is the Chill Out title from Pebbles Fun In The Sun collection. 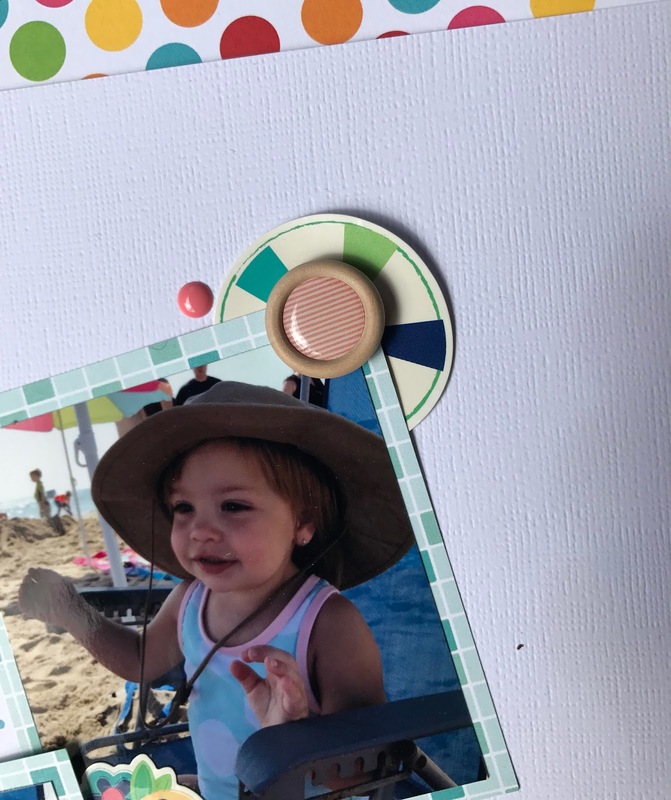 For the testimony part of the case file I chose to journal about the differences between our son and daughter on the beach. It’s like night and day! For the three evidence items I backed my photos with grid paper, used striped button from Shimelle, and have a seagull as an embellishment on the lower left photos. 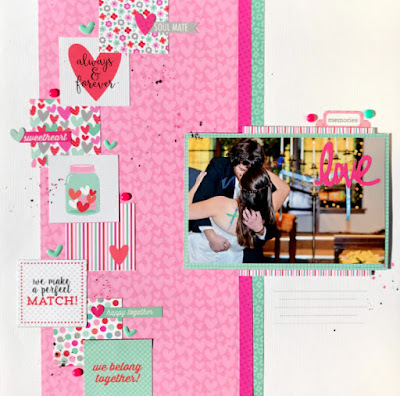 I really find these cases fun to work because they make me think harder about using my supplies to meet the criteria. If you join the cases I’d love to see what you create. Leave me a link. Until next time…stay crafty!